What we do in life echoes in eternity. But what you do in between classes or on the bus home might not matter quite so much. 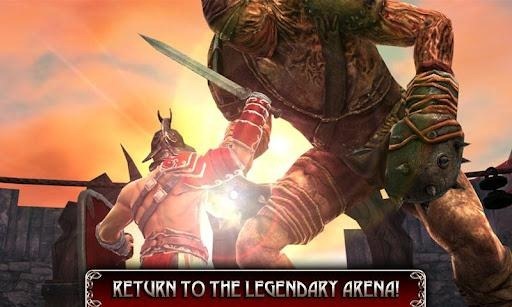 Even so, you can squeeze in some fantasy-flavored gladiatorial combat with Glu Mobile's latest high-profile title, Blood & Glory: Legend. The sequel to the original Blood & Glory expands with new stages and a new story, advanced via a motion comic-style cutscenes. Like most of Glu's recent offerings, the game is free, but you can upgrade your appearance and weapons with in-app purchases. 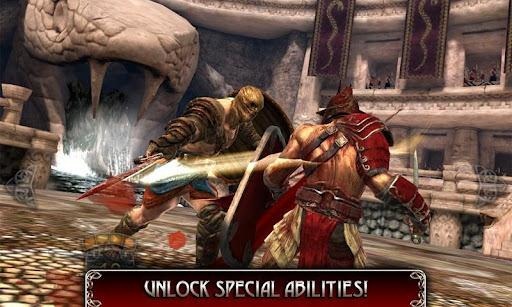 For the uninitiated, Blood & Glory combines 3D weapon-based combat in the style of Soul Calibur or God of War with speed ramp gameplay, making both the up-and-down pace and the controls more suited to a mobile device. Combos and special attacks can deal out extra damage. It looks like the developers have really stepped up in the graphics department - the video (which is iOS-formatted, by the way) shows impressive lighting and real-time environmental effects, most of which are blood. You'll be fighting some titan-sized enemies in the arena, with stages set at different larger-than-life locales around the ancient world. Blood & Glory: Legend is listed as compatible with Android 2.1 and up, but in order to enjoy it to the fullest, you'll need some relatively recent hardware.